New crop arrived mid May 2017 shipped directly from the farm in grainpro. Certified USDA organic and the farm is member of the Kona Coffee Council. Coffee prepared for us by Purple Mountain is always stored in parchment and milled just before shipping. Kona Purple Mountain Estate Selection is a small, eight acre, organic family farm. This farm goes out of their way to do things the right way, which means they keep to traditional farming and processing techniques. The varietal, Kona Typica, are sun ripened and hand picked only when ready. Wet processing is all done on the farm and the parchment coffee is completely sun dried on wooden platforms. We cupped all of the farm's grades this year and selected their Fancy Grade as the one we thought cupped best. This is a nicely prepared coffee lot with deep green, large screen sized beans. Production is very limited. This is 100% pure, authentic Kona coffee from a single farm. We have only a small supply. While we prefer this coffee roasted to a Full City Roast which preserves and develops its bright, acidic nature, those very qualities make it a candidate for darker roasts. Cup characteristics: Very juicy and vibrant, full of flavor. Bright and sweet. Well defined, citrusy flavor notes; floral. Firm, structured body. Flavor development throughout the cup. Roasting notes: Because of the bean size and moisture content this coffee will need considerable heat to develop the roast. If roasting on a Behmor, try P2 first, and perhaps P1. As for roast development, roast up to FC but there are fans of darker roasts of Kona coffees, though we are not among them. Sweetness and floral notes are maximized at lighter levels. At darker levels the roast itself dominates. Arabica Introduced: Coffee initially introduced from Brazil by Samuel Ruggles; it was later in the 19th century that better coffee was planted. Specialty Coffee Regions: Kona. Production also in Kauai, Maui and Ka'u. Grades: Extra Fancy, Fancy, #1, Prime, Peaberry. Farms: In Kona, about 600 farms, most 3 to 7 acres. Botanical Varietals: Kona Typica, Guatemala. When Hawaii became a state in 1959 the price of land rose sharply and Kona coffee could no longer compete on a price level with coffee produced in less developed countries. 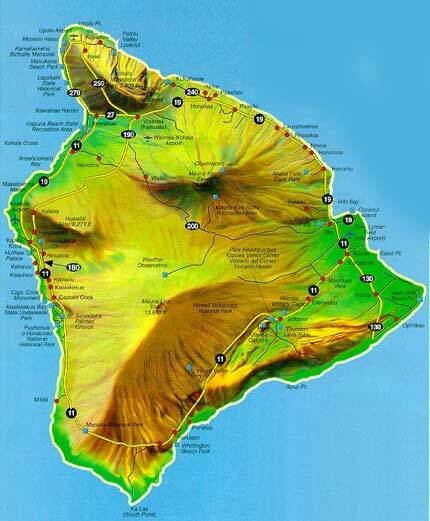 Kona is also gifted with an unusual micro-climate wherein morning sun mixes with moisture filled air from the Pacific. When this air reaches the mountain slopes, it rises. Cloud cover then blankets the slopes at around 2,500 feet. Early afternoon brings rain. This climate with cloud cover makes it unnecessary to grow shade trees.